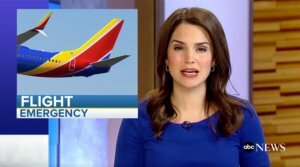 A fire broke out on a Southwest Airlines flight heading for San Jose, forcing passengers to evacuate. The fire was detected shortly after the plane had pushed back from the gate at John Wayne Airport. Crew members decided to evacuate the 139 passengers on board using the aircraft's emergency slides. A Federal Aviation Administration spokesperson, Allen Kenitzer, says the blaze broke out in the plane's auxiliary power unit, and was immediately extinguished with the plane's fire suppression system. The APU provides power to start the aircraft's main engines, and serves as a backup power source in certain situations. Part of the airport's taxiway was shutdown during the emergency, but flight operations were back to normal as of Tuesday morning.